If you’re already working with us, it’s simple. 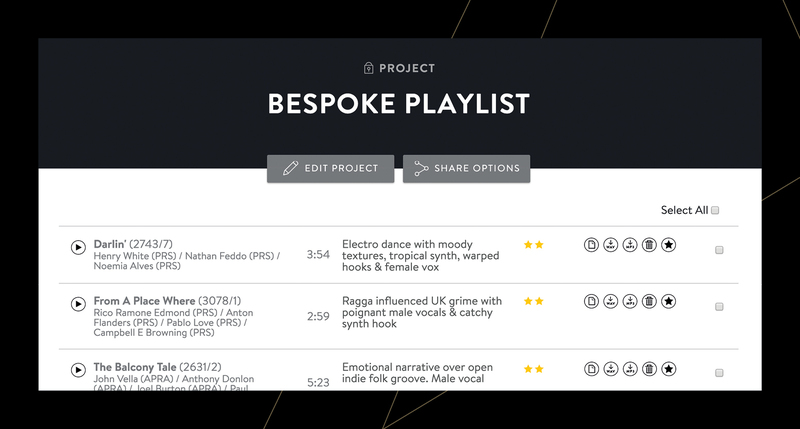 Create new projects and come back to edit or download your tracks again at a later date*. Unlike other platforms, there’s no expiry. Make sure you’re logged in, then start searching our catalogue. Once you’ve found a track you like, click the Folder icon. You’ll be asked whether you want to add the file to a new project or an existing one. Done. When creating a new project, you can choose to share with others in your company by giving everyone in your organization access. Or, if you wish to share with specific people, simply click the Edit Project button on the project page, then select or deselect participants and click Update to save changes. You can now share projects with clients outside of your company. 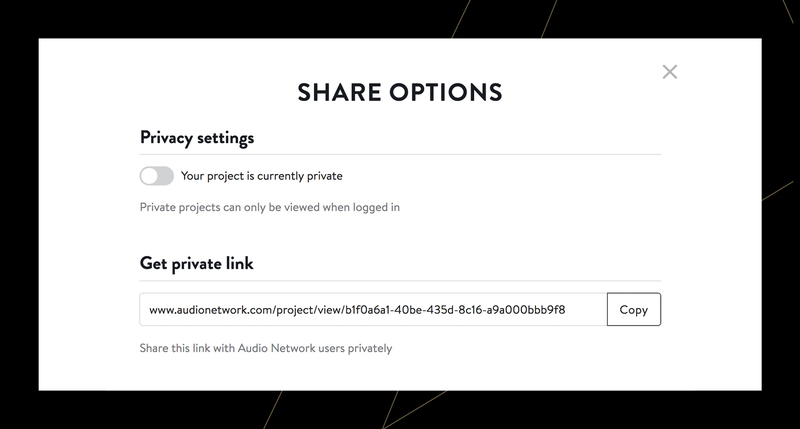 No login to Audio Network is needed, you can just share the link and they’ll have access. One by one – by clicking the icons. Packaged as a zip file – by selecting multiple files and choosing your format (wav, aiff, mp3) using the drop-down box at the bottom of the page. Add Notes to a track by clicking on the notes icon against each file. Rate Tracks by clicking on the rating icon to rank your track selections out of 3 stars. Email the project details to colleagues and clients by clicking the Share Options button at the top of the page. 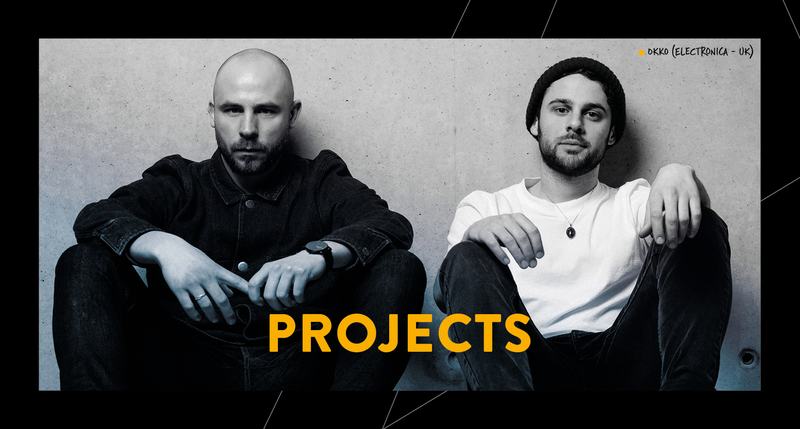 See all projects within the Projects area that you’ve created or that have been shared with you.